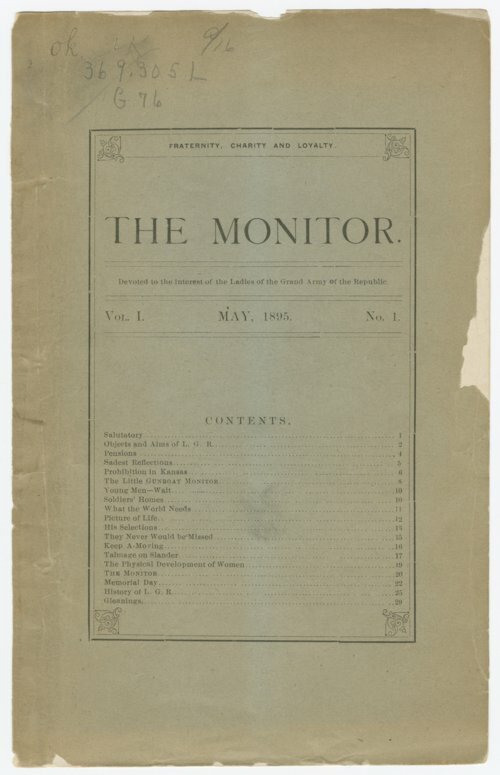 The first issue of a monthly newsletter that published the interests of the Ladies of the Grand Army of the Republic. A sketch inside the front cover shows Elma B. Dalton, president of the Kansas Ladies of the Grand Army of the Republic. She was also editor and publisher of "The Monitor".